With this article we complete our summary of what has been one of our greatest pleasures in 2016, the 3deluxe project, Al Noor Island in Sharjah, United Arab Emirates (UAE). We would like to take this occasion to give thanks for the trust placed in KRION®, the 3deluxe studio, and especially its co-founders Dieter Brell and Peter Seipp. It is difficult to summarise a project of this scale in just 3 publications, and we will surely be leaving out a multitude of extraordinary areas; but we did not want to overlook the Literature Pavilion. The presence of the solid surface from PORCELANOSA Group in this space best represents our material KRION® and a multitude of its properties and applications. The whole floor Surface of the floor, seats, vertical and horizontal coverings, curtain walls, ceilings and fountains are created with KRION®. We can find it thermoformed in 3D, sublimated and partially backlit. 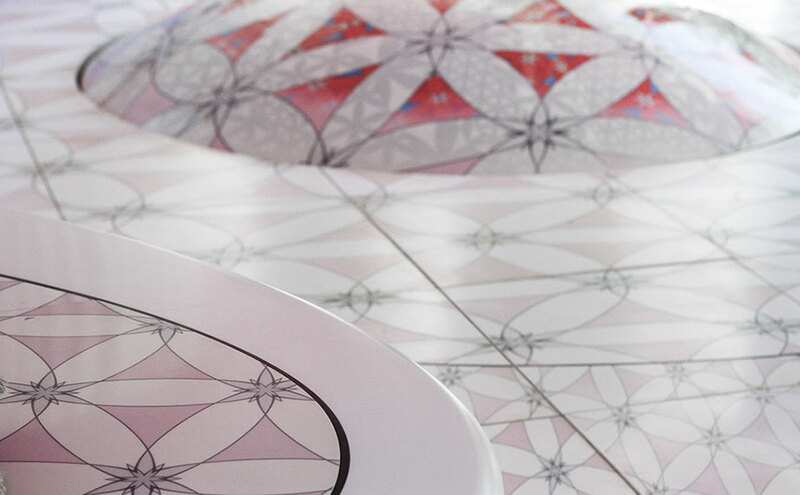 Drawing our attention is the semi-circle of KRION® sublimated with motifs of butterflies and flowers, functioning as a fountain with running water, combining our material with the liquid element. The Literature Pavilion of Al Noor Island continues tradition and has a local philosophy, for sharing spaces and ideas, and communicating.